Taking action online, and taking action in real life go hand-in-hand. Have you noticed that the more you work towards your goals, the more that you want to continue working towards your goals? It seems that once you pick up some momentum, inertia takes care of the rest. The reason I bring this up is because I’ve always been a “lazy” person when it comes to physical activity. Last week I started P90X for the fourth time. In the past, I made it all the way through once, and I looked and felt AMAZING! However, I stopped exercising after completing the 90 days and sure enough, I got fat and lazy once again. This time, I feel like I’ve got it figured out. Just like with learning a new skill and working towards an online income, you have to put in the effort to get things rolling and once you’re in the flow, it will come naturally. Instead of telling myself that I’m doing a program for 90 days, I make it known that this is now part of my everyday life, like eating, sleeping, and online marketing. Why Share My P90X Schedule Online? For starters, I want to put it out into the world so that I can be held accountable. I’ve noticed that if I do something privately, I give up easily. If I tell other people, I feel the urge to prove to them that I can do it. If I’m going to be blogging about my online adventures, I may as well throw in some of my personal adventures as well. Secondly, I would like to motivate you to exercise as well. Not only is it great for your body and health, it is great for your mind. Discovering new ways to make money online can be tedious and at times, quite boring. When you exercise, you actually think clearer and motivate yourself to keep pushing forward. The reason I love P90X is because you get a stellar workout, and you can do it in the comfort of your home, with no monthly fees, and minimal exercise equipment. In the past, I bought gym memberships and never went. Or, I went and I just picked random machines to work out on. If you know anything about exercise, you know that this is not going to get you results. As I said earlier, I’ve done P90X a few times in the past. The one time I completed it was my first attempt. Each attempt after that met with failure. One time I exercised myself straight into the hospital — for two weeks! I worked out so hard that I got Rhabdomyolysis, which is extreme muscle damage. Lets just say that on my second attempt, years after the first, I thought I could pick up where I left off and over-exerted myself. But hey, I just wanted to “Bring it!” as they say. Aside from that, as with everything in life, I learned from my mistakes and won’t be having that happen again. Last week I started by only doing half of each exercise so I could ease my body into it. This week I have been doing the full exercise each day and, although sore, I feel great! The same goes for learning how to make money online. You may try and give up. Try and fail. Try and fail again, over and over until you start to get results. Eventually, it will become second nature and you will be doing more than you ever thought possible. Which leads me into my next topic. What Does following a P90X Schedule Have to Do with Online Marketing? Without a plan of action, you will never reach your goals. Following a proven structure, step-by-step is almost always guaranteed to get you results. By teaching our body physical discipline, our mind will follow suit. 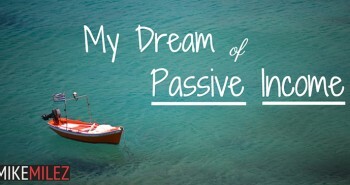 My time spent learning about building a passive income has been a lot like exercising without a plan. There are so many aspects to making money online, that it is literally mind boggling and causes most people to give up. Six months ago, I felt like a newbie at the gym, trying to figure out what all the machines were and fiddling with each one. Now I’m starting to develop a pattern, or plan, that is helping me to see results. Even at this very moment, I still get confused, but I’m showing up each day and working towards my goals, which is more than most people. I don’t want to be that guy that commits to something in January, and by February has forgotten all about it. How will that ever produce results? Having an action plan for exercise, through P90X, motivates me to have an action plan for online marketing. I can apply this as a daily routine, instead of doing random things every day. Once the system’s in place, it will start to work like a well oiled machine. And that is the real goal for now — to become consistent and make real progress every day towards my dream. If anyone’s interested in seeing my exercise log from the first time I did P90X, or my progress photos, I ‘may’ be brave enough to post them. Just let me know in the comments below. P.S. As with everything I recommend, I truly believe in it and would love to share the experience with you as well. If you decide to join in, I’d love to know your progress as well, and see some of your photos. Or, if you have any questions about the program, let me know and I’ll be sure to get back to you asap. P.P.S “Heels to the heavenths” — If you’ve done P90X, I think you’ll agree that’s funny.